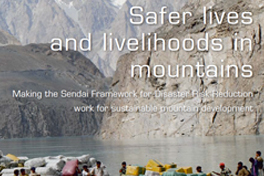 This publication presents 15 case studies from mountain regions around the world, illustrating the efforts and experiences of public and private actors to implement the Sendai Framework’s four priorities for action. Mountain Agenda is an informal group of people, drawn from the academic and development cooperation communities worldwide, who have a professional interest in sustainable mountain development. The group was created prior to the Rio Earth Summit (UN Conference on Environment and Development, 1992) to enhance the position of mountains on the global development and environment agenda. CDE hosts the informal secretariat of the Mountain Agenda and also distributes the group’s publications. Mountain Agenda focuses on policy support, advocacy, and sensitisation. In different configurations, the group has produced a series of brochures dealing with important issues in mountain development (see publication) prepared for key international debates. 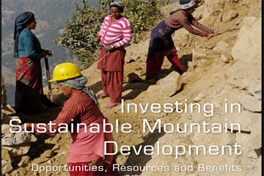 On various occasions, Mountain Agenda has contributed to international conferences, working groups, and publications in support of mountain development. It is also occasionally engaged in consultancy work such as curriculum development. The group also plays an active role in synthesising experience within CDE’s own programmes and mandates relating to mountain development and highland–lowland interactions.